Blinds give an earthy appeal to the interiors. You can team up the blinds with attractive bed covers that will surely give an exclusive look to the whole setting. The material used in preparing Jute Blinds is lightweight that gives an alternative to the traditional blinds for windows. The effects of such blinds on interiors are striking to compare the least with other objects. You can create some tropical looking Jute Blinds that add to the uniqueness of the interiors and remain effective in fighting excessive sunlight. Jute is vegetable that is coarse in structure and thus it is ideal to make blinds. As compared to the typical Bamboo Blinds, it does need extra care and can be cleaned easily. 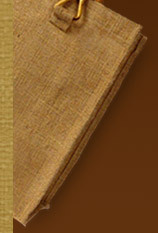 Jute is durable and has high strength. Jute made blinds can be available in varied colors to suit the interiors. Moreover, it is low priced as compared to the Bamboo Blinds offered in the market. Jute Blinds are capable of creating a whole new look to the interiors while making your home filled with natural material and that too at affordable cost. Minimal effort is required for maintenance like dusting, washing, and drying Jute Blinds. These can easily adapt the look of the interiors, mostly the Indian homes that loves to flaunt colors in every corner. However, this not disappointing for the foreign nationals, as the Jute has its own golden color, which is subtle and unique. In many tropical countries of South East Asia, Jute Blinds are used that had begun sweeping the influences across the globe. If you have tight budget, then Jute Blinds are surely an exclusive option for you. Go for some hanging frames on corners and shades. There are many manufacturers who also custom design the products for the customers.